Are those roots running toward your foundation? Destroying your asphalt? We all know how costly it is to replace lifted sidewalks, or even removing a tree with destructive roots. 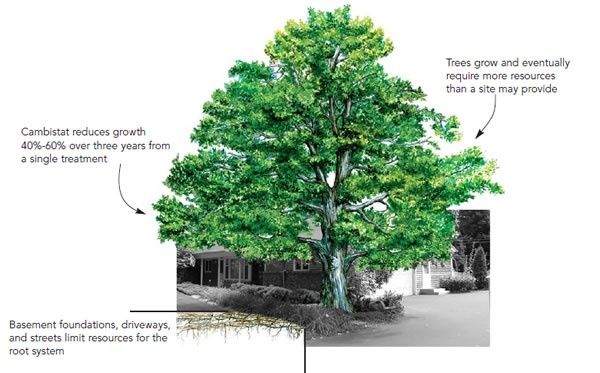 But, there is an alternate and inexpensive solution that preserves that beautiful tree, your hardscape, and allows you to reduce canopy and woody growth safely. It's a soil-applied Tree Growth Regulator (TGR) called Cambistat ®. It not only reduces the growth rate of the tree, but redirects the growth to the hair-like root system, strengthening the health of the tree and increasing drought and disease resistance.